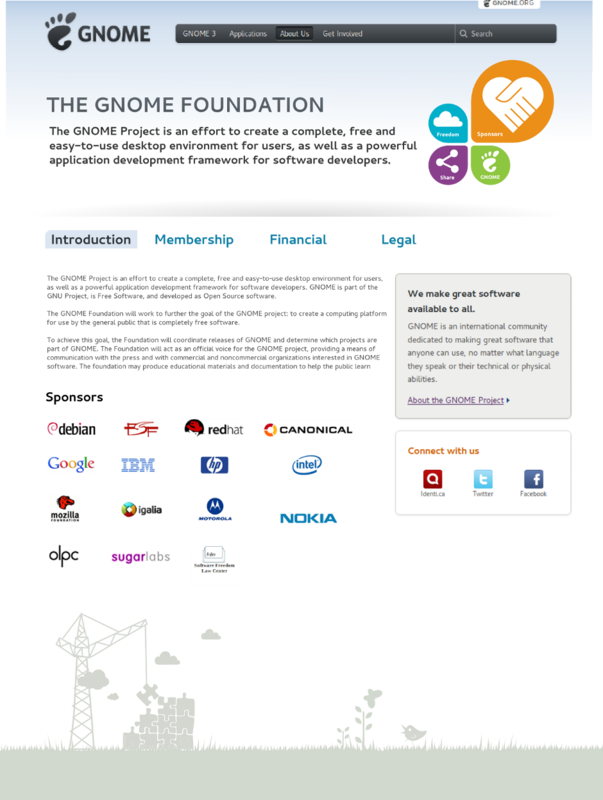 I was asked to integrate The GNOME Foundation website into gnome.org, so I drafted some mockup based on gnome.org layout, and I also tried to made the mockup in my WordPress testbed. BTW: I have a problem with my WordPress testbed now. 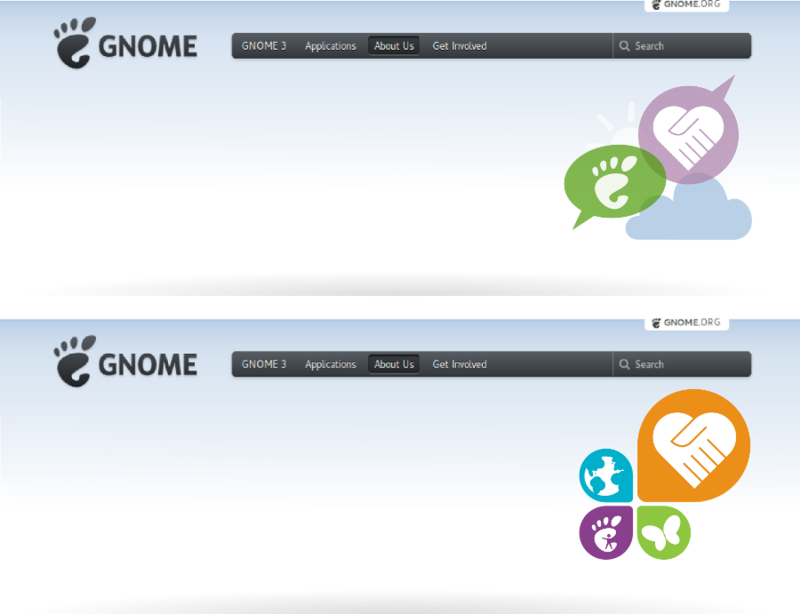 As you can see I leaved the page right side in blank in my testbed, because I don’t know how to insert the two boxes in my testbed page, which I want to do is exactly same as in the front page of gnome.org. I wonder if some one can help me with this issue? Thanks! That logo looks a lot like the Fedora “4 foundations” and “fudcon” logos. Sure you entered the sidebar.php correctly for your theme? See http://codex.wordpress.org/Widgetizing_Themes for a way to do it. In general, I like this stuff, especially the top of the page. Me and Vinicius discussed it a bit, and we have some addtional ideas, and we’ll try to send you some mockups as soon as things works again. But I don’t like that the “logo” look like Fedoras 4 foundations. Amazing issues here. I am very glad to look your post. Thanks a lot and I’m looking forward to touch you. Will you please drop me a e-mail?